Ian White, Professor of Water Resources and Associate Director Research at ANU, will give the next Sydney Water Engineering Panel session on the impacts of bushfires on the upper Murray-Darling basin. This is scheduled for Tuesday July 27th 2010, 5:30 for 6pm at the EA Auditorium, Chatswood. Refreshments will be available prior to, and during, the event and RSVPs are not necessary. 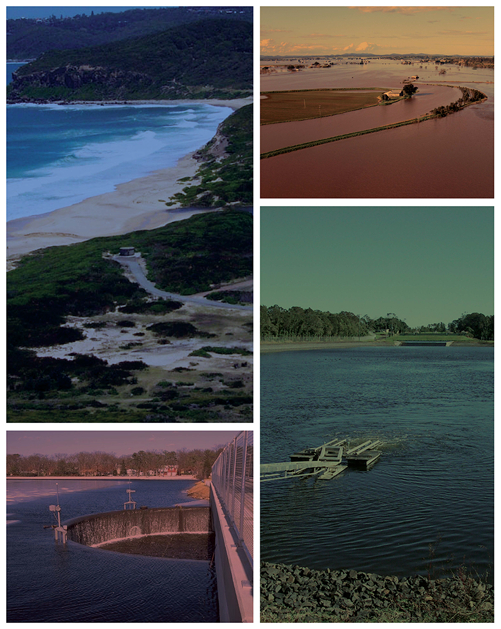 Professor White’s major research focus is into the interactions of surface water with groundwater systems. His current research activities include the mitigation of land use impacts on catchment yield and water management policy development. Analysis of the long term impacts of Victoria’s 1939 bushfires on Melbourne’s water supply catchments in the 1970’s revealed startling, long-term decreases in catchment yields as the burnt out mountain ash forests regenerated. It has been suggested that similar decreases in yield would occur in other native-forested water supply catchments in the Murray-Darling Basin. The January 2003 bushfires, which essentially burnt out all of Canberra’s near-pristine Cotter River water supply catchments provided an opportunity to study the impact of severe bushfires on catchments predominantly containing dry sclerophyll forests. This talk will examine the impacts of the 2003 wildfire and a smaller fire in 1983 on water quality and on catchment yield in forests that are different from Victoria’s mountain ash water supply catchments and will discuss reasons for the marked differences in responses. Analysis of results was complicated by the exceptionally dry period following the 2003 bushfires. Additionally, impacts of management decisions on water quality will also be highlighted. For further details please contact Peter Brady ([email protected]) or check out the PDF flyer.